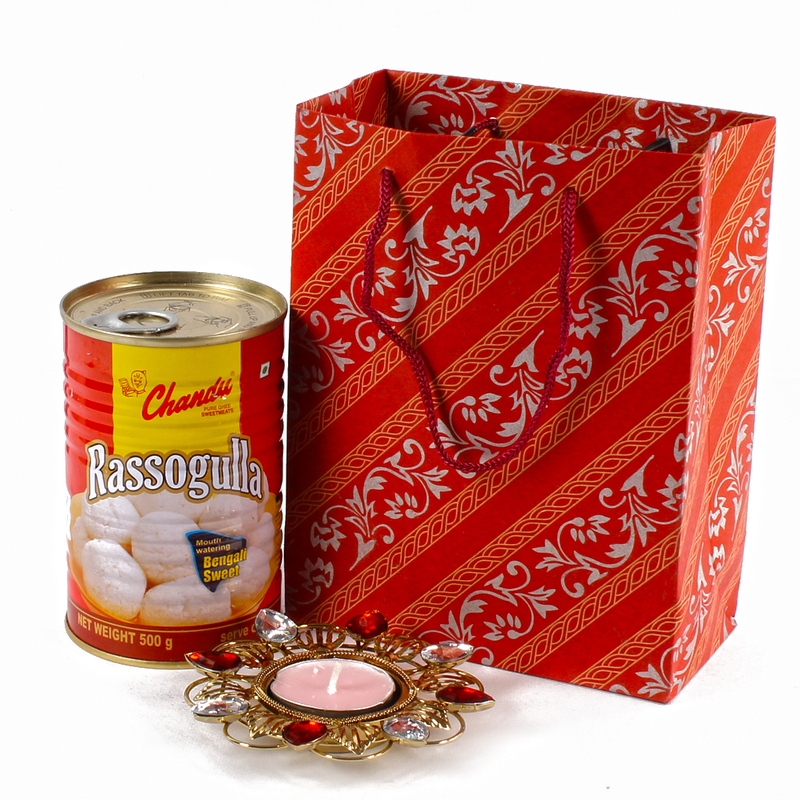 Product Consists : Mouth Watering Bengali Sweet Rassogulla (Weight : 500 gms) along with Designer Metal Diya with nice Stone work and Tealight Candle nicely packed in a Gift Bag. No celebration or festival is complete without sweets. 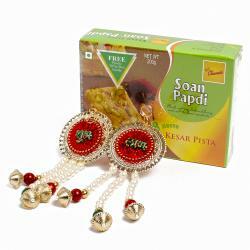 A Sweet special Gift hamper includes sweets for your friends and family for upcoming occassions it makes a perfect choice gift for your loved ones on any happy occasion. The Festival of lights is round the corner. 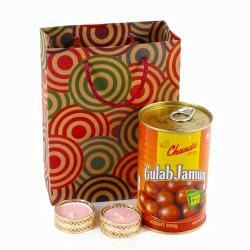 It is the time to gift your dear ones with delectable sweets hamper. Rasgullas is a delicacy from Bengal. Spongy white balls are dipped in to sugary syrup that enchases the taste and creates a delightful look.This Crystal stones Diyas along with Tealight wax Candle looks beautiful at home and will surely bring a glow to all the viewer. 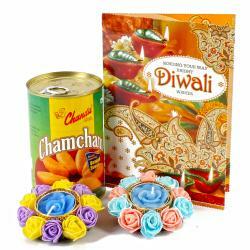 Gift now this diya which beautifully crafted with Crystal stones and Golden imitation work decorations. It has a very Designery look so grab it for your special ones now. 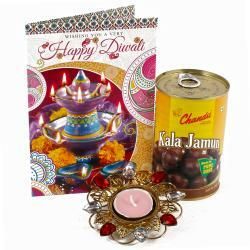 Product includes : Mouth Watering Bengali Sweet Rassogulla (Weight : 500 gms) along with Designer Metal Diya with nice Stone work and Tealight Candle nicely packed in a Gift Bag.